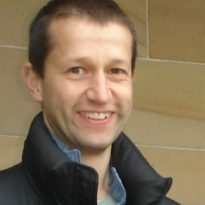 Martin is Associate Professor in Environmental Change within the Sustainability Research Institute at the University of Leeds. He is interested in applying and integrating research techniques from across different disciplines to better understand the sustainable management of natural environments, biodiversity and ecosystems in a human-dominated world. Currently, his research falls into three broad areas: Biodiversity conservation and ecosystem services; sustainable agriculture, land-use and development; and urban green spaces and sustainable cities. Martin’s work centres on applying and developing methods to capture the value (both in monetary and non-monetary terms, as well as metrics of ecological ‘quality’) of catchments, ecosystems and natural environments. He is particularly interested in how these values might be linked both to biodiversity and underlying ecosystem functions, as well as to human health, well-being and life chances. Prior to starting his current lectureship, Martin held a Marie Curie Intra-European Fellowship at the University of Copenhagen. Between 2006 and 2011, he was a postdoctoral researcher at the University of Sheffield. Initially he worked on the Rural Economy and Land Use (RELU) project ‘A Landscape-Scale Analysis of the Sustainability of the Hill Farming Economy on Upland Landscapes and Biodiversity’. From 2009, his focus shifted to the EPSRC-funded Sustainable Urban Environments project ‘Urban Rivers and Sustainable Living Agendas’. Both projects represented quite a shift from his NERC-CASE funded PhD – ‘Understanding Migration Patterns of the Red-Billed Quelea in Southern Africa’ – which centred on using molecular ecology and behavioural techniques and was based at the University of Edinburgh. Recently Martin has picked up his interest in the red-billed quelea, but now with a focus on its role as a crop pest.